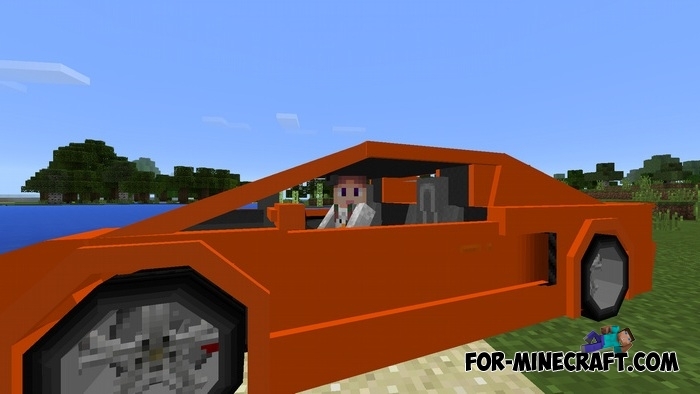 Now you can ride in a sports cubic car. 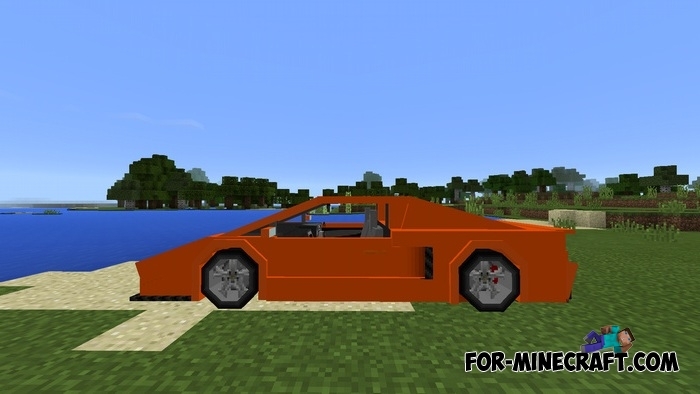 But this is not a simple vehicle, you will get a quick and impressive Lamborghini. 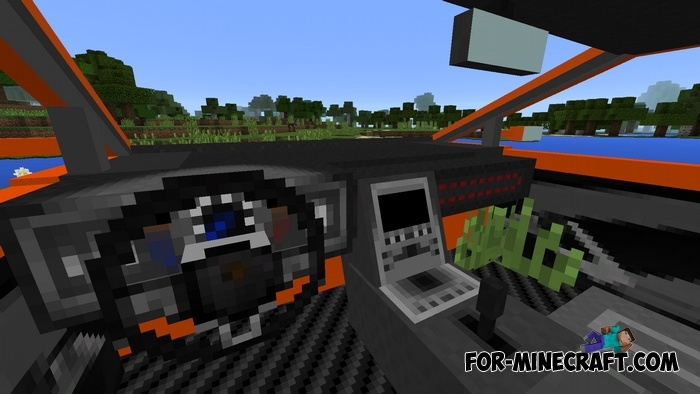 Car model is very realistic and includes a copy of interior in a cubic style. 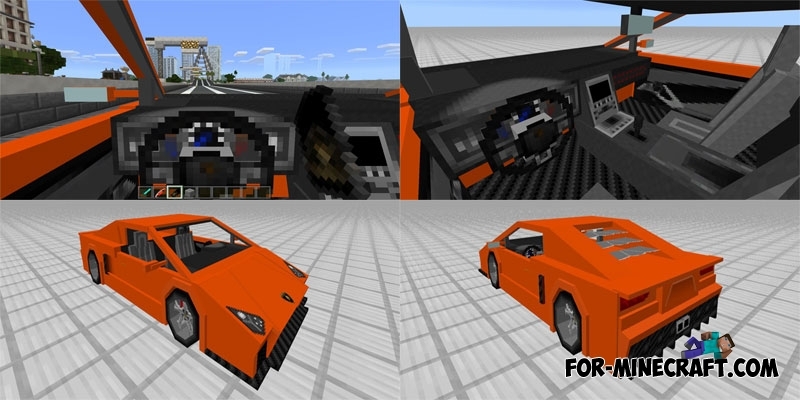 At the moment, the car has only one color, but perhaps the author adds other colors. 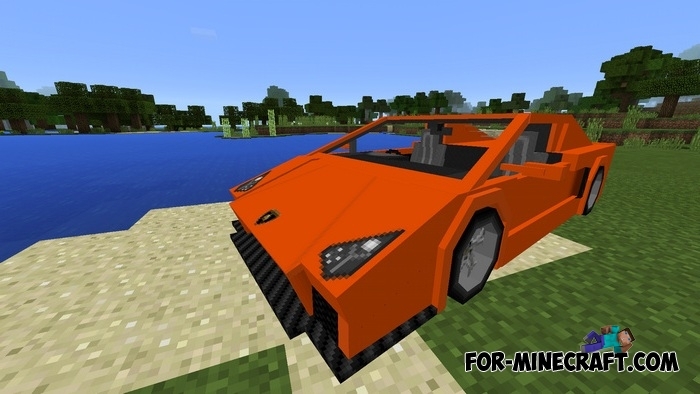 This time, the creator has added even more expensive and faster version of the car. I think this car needs no introduction, everybody knows what it is called, and all dream to ride on it. Please welcome Lamborghini Veneno! 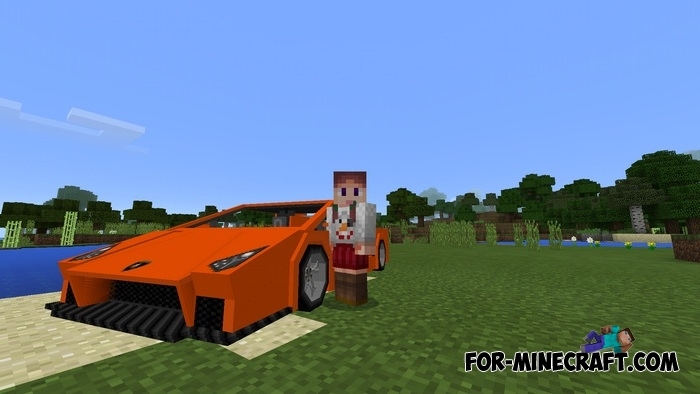 This car belongs to a supercar and is worth more than 3 million. 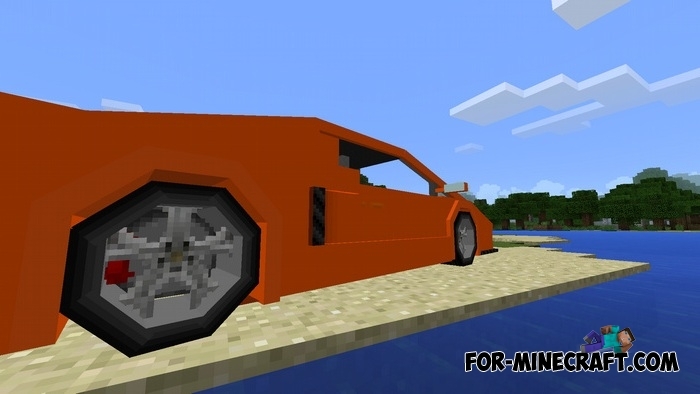 But thanks to this addon, we can ride it without spending your own money. It is made by the same principle as the previous one. So get behind the wheel and press the accelerator pedal. 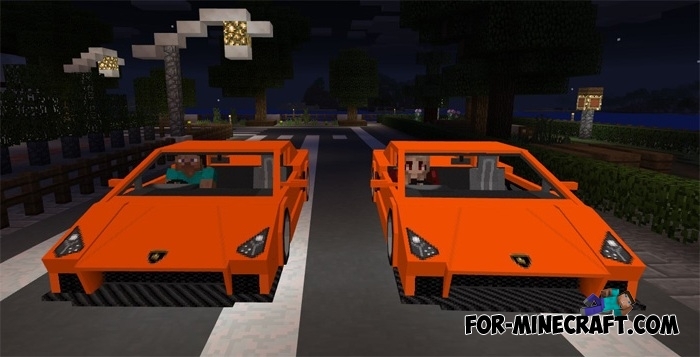 Both cars are identical except for the appearance, so choose a supercar on your taste. 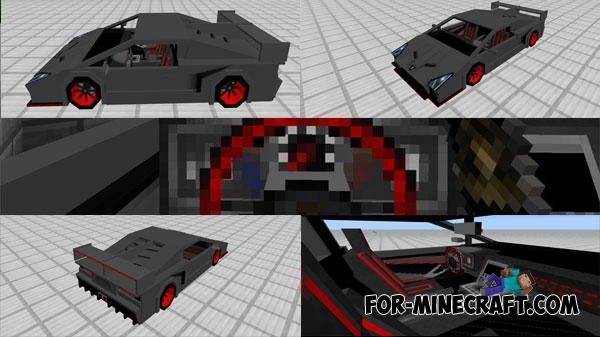 Probably this is the best sports car addon for Minecraft PE. Actually it looks really cool and can be used anywhere. 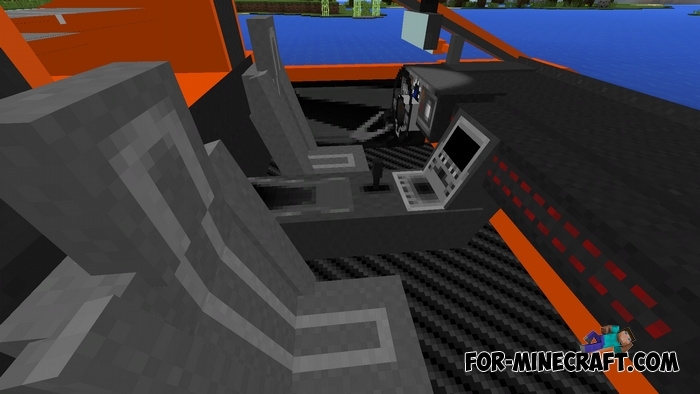 You can arrange races against your friends (this addon works in multiplayer mode, players only need to install it). 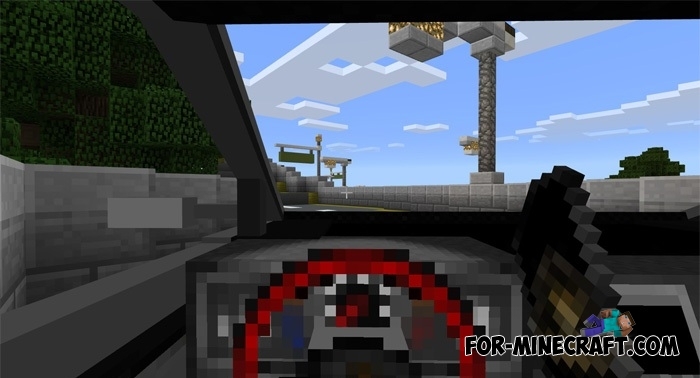 Also the car is perfect for regular travel from one point to another. 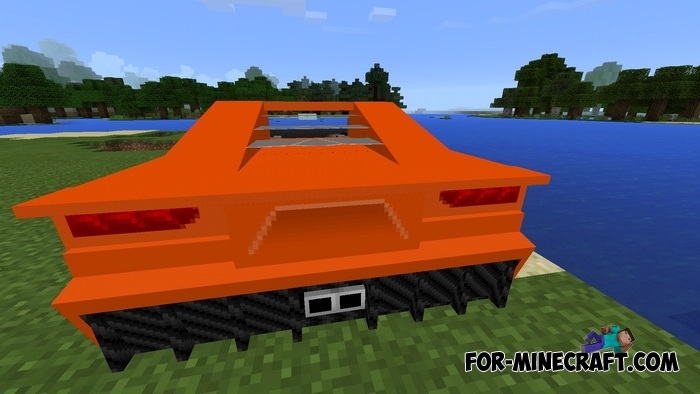 As in similar car addons you need to take the key and get in the Lamborghini. Then you can go anywhere (I advise you not to drive into the water). 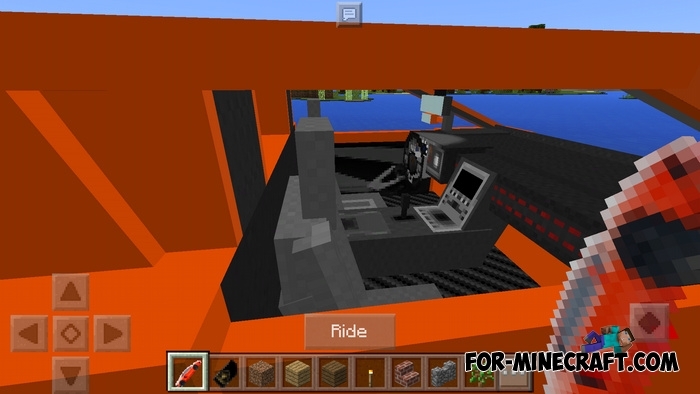 To fill your garage, download Cross motorcycle addon that will add a nice bike.